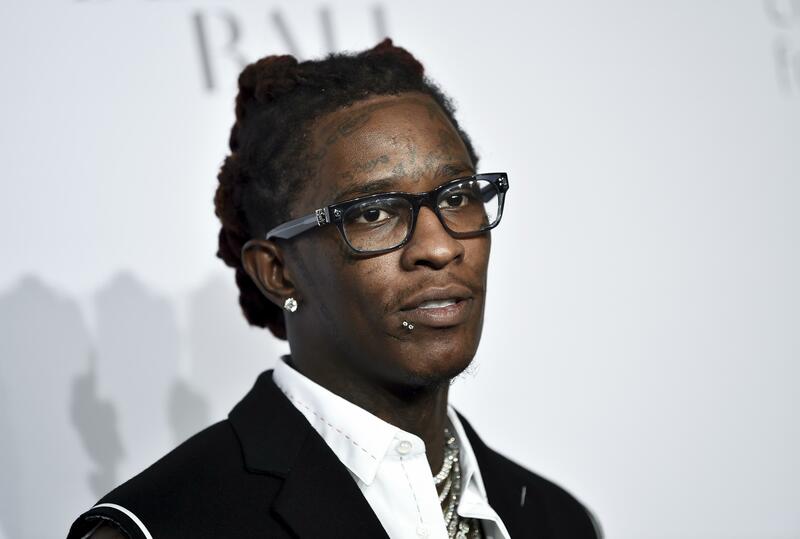 Fri., Aug. 17, 2018, 1 p.m.
LOS ANGELES – Rapper Young Thug was arrested in Los Angeles after officers found a concealed firearm inside his car, authorities said Friday. The rapper, whose real name is Jeffery Lamar Williams, was booked on a weapons possession charge just after midnight Friday, said Officer Drake Madison. He was being held on $35,000 bail. Officers detained several in the crowd, including Williams, and officers found a firearm inside his car, Madison said. Police provided no other details. Williams was arrested in September 2017 on drug and gun charges after a traffic stop near Atlanta. Brian Steel, an attorney who represented him in that case, did not immediately respond to an email seeking comment Friday. Published: Aug. 17, 2018, 1 p.m.